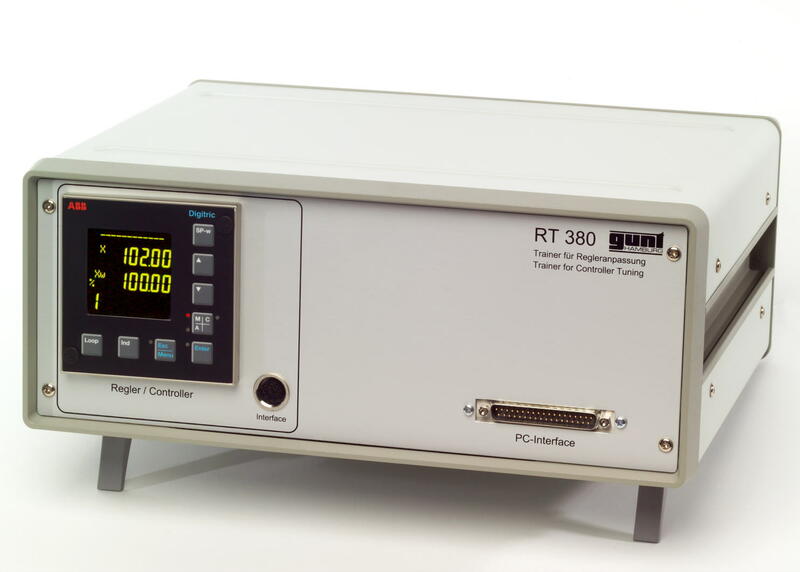 This benchtop trainer deals with the interaction between controller and controlled system, the objective being for the closed control loop, comprising the controller and the controlled system, to exhibit the desired optimum response. The setting of controller parameters - a key practical aspect - can be practised safely and intensively using simulation software. Concepts such as open and closed loop control, stability, step response, disturbance and control response are clearly demonstrated. The particular feature of this trainer is that no real systems are used; the controlled system is simulated on a PC by a simulation program developed by GUNT. 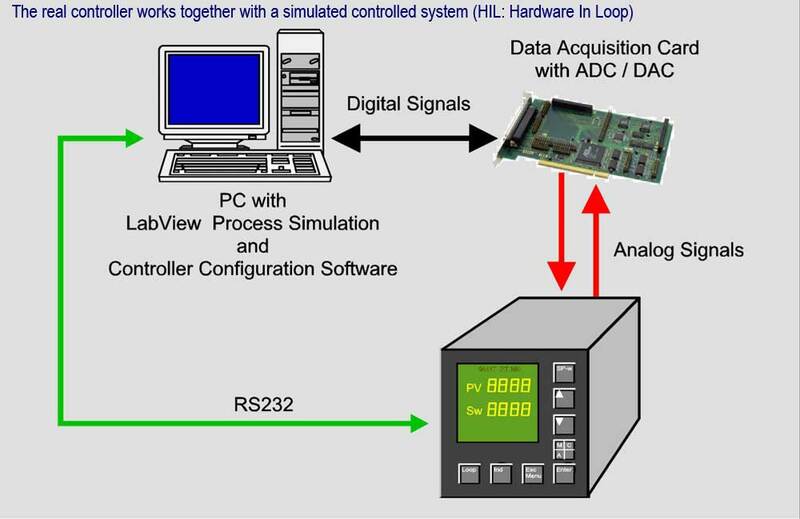 This principle is in widespread application in product development in industry and is known as Hardware in Loop (HIL). All major types of controlled systems can be selected in the program. 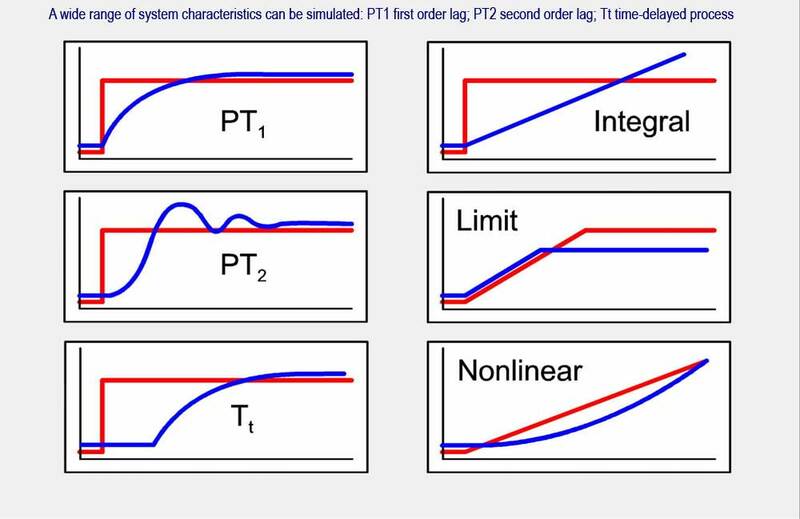 The system parameters can be set within broad limits so that - unlike actual controlled systems - extreme parameter situations can be investigated. The time response can be recorded and analysed using the software. 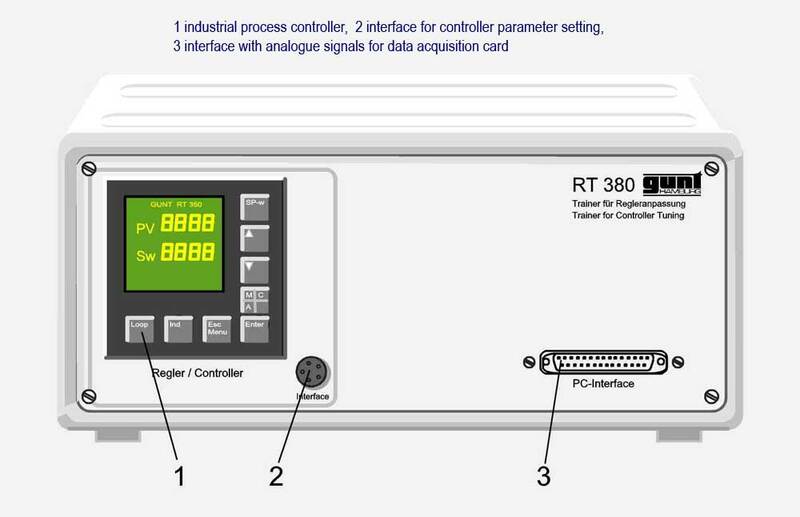 The controller and the PC are connected by a data acquisition card with AD and DA converters. The process controller that is used can be easily configured from the PC across an interface using the software provided. Clearly structured instructional material outlines the fundamentals and provides a step-by-step guide through the exercises. GUNT simulation software for different controlled system types, such as first and second order lags, time-delayed systems etc. Site generate in 0.100 seconds.